If you’re like me, you probably spent hours upon hours of your childhood sketching out your dream Mario levels on paper. You probably dreamed of working at Nintendo, and designing amazing levels that were bursting with creativity. There was just something mesmerizing about Mario games that encouraged you to come up with your own levels, so it was quite surprising that there was no official way of doing so until now. The keyword there being ‘until now’. Enter Super Mario Maker. Regardless of how high the quality of levels may be, there’s no doubt in my mind that more and more good levels will start popping up as time goes on. 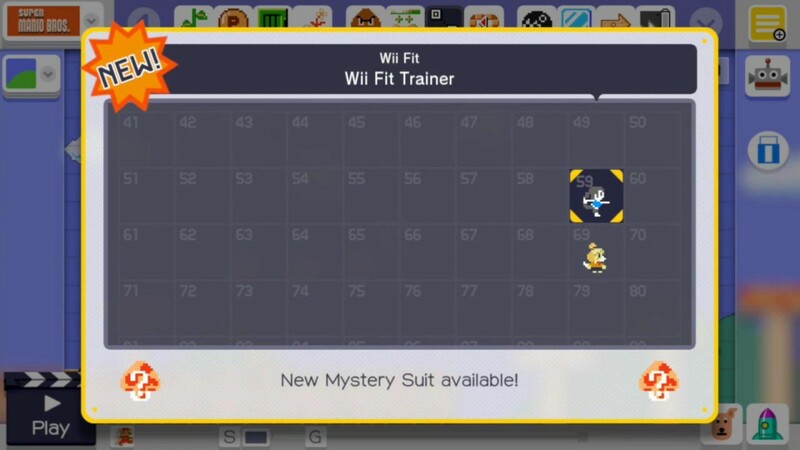 This would be greatly helped if Nintendo provided a way to search for levels, or include tags. (ie ‘Music course’, ‘Don’t press anything’, etc) These would all help improve the process of finding levels, and seeing that Nintendo is more committed to supporting their games post-launch, it’s likely that we’ll get a patch to address that soon. The sound design is also on point too, including music from all 4 art styles along some fantastic remixes that play during editing mode. It would have been nice to have these remixes appear when you actually play the levels, but again, patches. There isn’t much to say about the game from a visual standpoint other than to say that all 4 art styles look even better, thanks to some revised colors and a sleek dropshadow along each object. That sleekness also applies to the menu design too as I enjoyed going through them, which is something you don’t often say about menus. Of course, this wouldn’t be a Nintendo game without amiibo support, which as it turns out, is actually surprisingly good! In fact, you can unlock everything (With one tiny exception) in the game without one amiibo. They just serve as a way to unlock it faster. So, just what is this amiibo support that I’m talking about? Well, you can play as over 100 different characters through Mystery Mushrooms, which can also be unlocked by completing 100 Mario challenges online. While its neat to play as all these different characters, they only work in the original Super Mario Bros. style, and don’t do much in terms of gameplay. Still, it’s a neat touch that allows you to create themed levels, and without spoiling too much, the massive variety of characters you can play as is truly amazing. I can safely say that Super Mario Maker was worth the wait, and it delivers just what it promises and more. I don’t see myself stopping creating levels anytime soon, and I always look forward to playing more. The negatives of the game can easily be fixed through patches, and I wouldn’t worry too much about bad levels. This is easily one of my favorite games of 2015, and it stands out as one of the Wii U’s best games. Overall, I loved Super Mario Maker.